Today I had lunch with my friend Mitsu at Dinerama in Shoreditch. I’ve sampled Club Mexicana at some of their other locations but this was my first time at Dinerama and as it’s only a 15 minute walk from work it definitely won’t be last! There were a few things on the menu I wanted to try so I decided to go for it and have the leftovers for dinner. 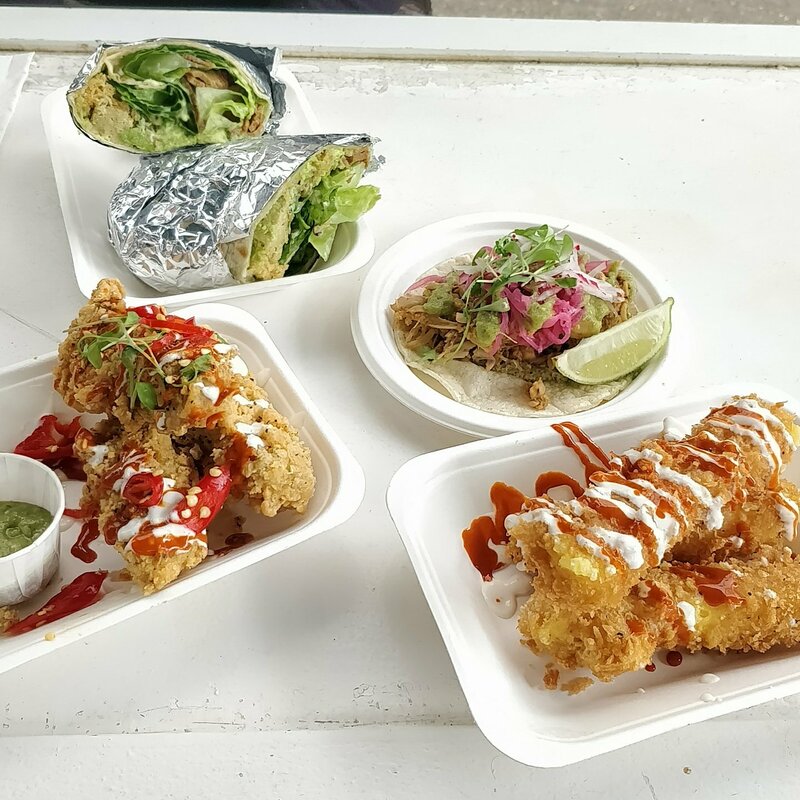 I had a pulled jackfruit tinga taco, chick’n wings and beer battered cheeze fries while Mitsu went for chick’n Caesar burrito. The pulled jackfruit taco was really tasty but a bit difficult to eat as the filling was so generous! The chick’n wings had a really good texture and the crispy batter was amazing! Now the cheeze fries were just out of this world! Oozy, gooey deliciousness! 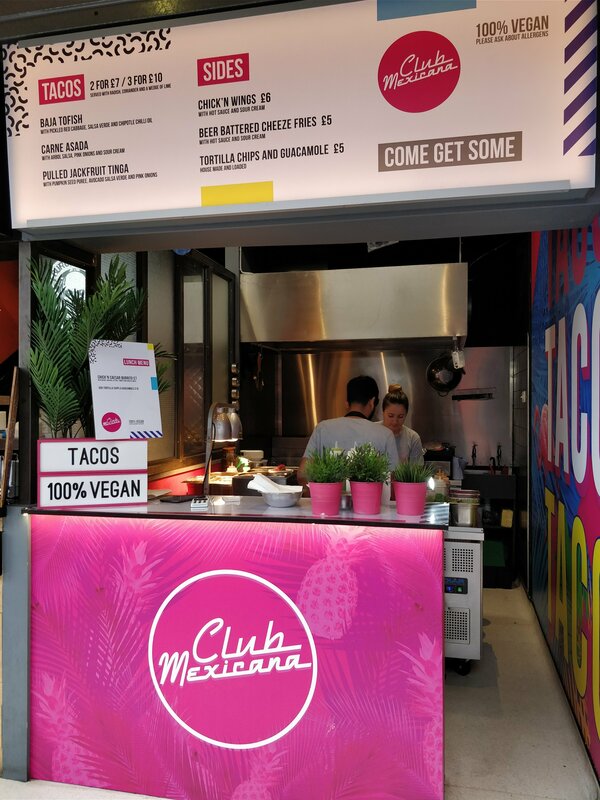 Have you been lucky enough to sample the delights of Club Mexicana? What did you think? Let me know in the comments below.